Despite her father's scary rants about the Apocalypse, Tobi Mathews runs away from home to seek her own destiny. Seventeen-year-old Tobi Mathews lives on an isolated farm where her ex-Marine father moved the family to escape the coming calamity. Tobi's mother claims his ominous predictions are caused by post-traumatic stress disorder. When she leaves to get a job in town to earn the money needed to get the farm started, his stress intensifies. Tobi can no longer deal with her dad's rants about Armageddon. Led by her dream to earn a scholarship to medical school, she steals her dad's station wagon and escapes to live with her mom in Cielo de Ventana. On the way, the wagon breaks down. A man driving an RV traveling to a homeless shelter in the town where her mother lives stops to help Tobi. She accepts his offer of a ride there, not realizing that meeting this stranger is more than mere coincidence. 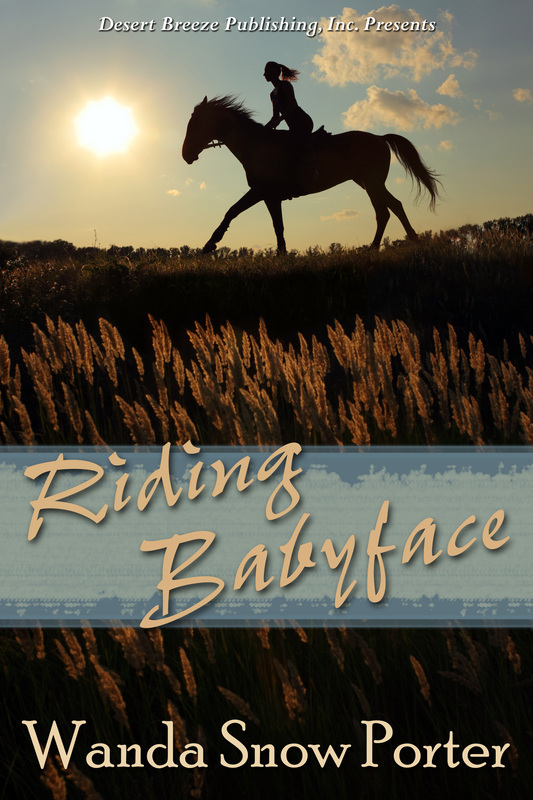 More than anything, fourteen-year-old Winna Beckman wants a horse, unaware when she gets one, riding Babyface will teach her about life, love, and true friendship. brims with action and excitement. Ride with a young vaquero on his unforgettable adventure during the Mexican-American War as gold is discovered and California becomes the thirty-first state of the Union. José Rodriquez’ papa says he must help tame Rancho Grande’s wild colts. He knew this day would come, for on the Alta California rancho, being a vaquero and training horses was his family’s tradition. Vaqueros’ horsemanship and roping skills were legendary and their lives full of danger. Many vaqueros had been killed or crippled while riding the mustangs. Did he have enough courage to ride the wild ones and measure up to his papa’s expectations? Worried, José decides luck will help him ride the wild colts, luck he will get from a pair silver spurs and chaps made from a brave bull’s hide. But with no money, how can he buy silver spurs? Then, the Mexican-American war starts, and a few days before Christmas, Colonel John C. Fremont’s battalion camps on Rancho Grande and everything changes. on Nowhere Mountain, leave his friends and school behind, and give up playing baseball. He loves his wacky grandma and enjoyed summer visits at the ranch backpacking and horseback riding with his grandpa. Except, now Grandpa is dead, and Tim and his dog are the only males in a house full of women. He needs advice and hopes it's true his grandpa's ghostly vibes still linger at the ranch. To top off his problems, Grandma adopts a wild burro from the Bureau of Land Management and expects him to train the long-eared donkey with a noisy bray.